We look forward to welcoming you to Charlottesville very soon. We have planned several social activities to encourage interaction among SIPS 2017 attendees. Brian Nosek has graciously agreed to host us at his home for dinner and drinks on Saturday, July 29. Bus transportation will be provided from the Omni, beginning at 6:30pm. 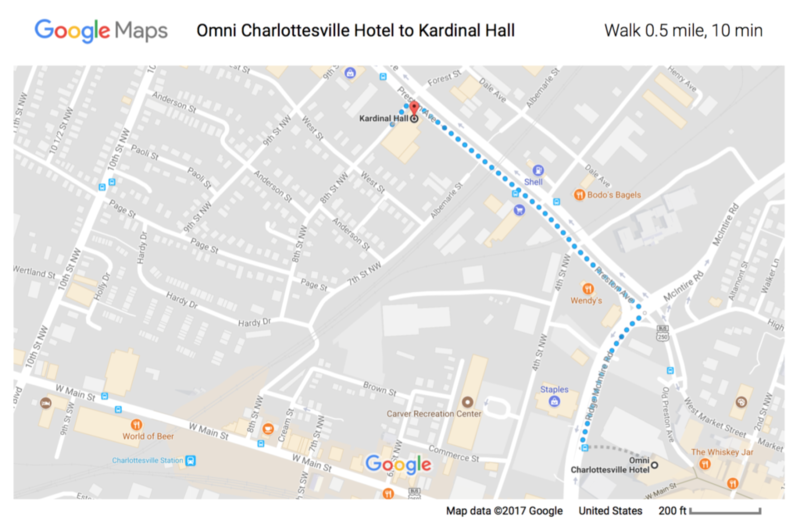 The first group will meet in the lobby of the Omni, and we will send out the updated bus meeting location via the conference email for subsequent groups (likely Water Street at Main Street). Buses will leave the Omni again at 7:30pm, 8:30pm, 9:30pm, and 10:30pm. Buses returning to the Omni will be at 7:00pm, 8:00pm, 9:00pm, 10:00pm, and 11:00pm. Limited parking is available if you prefer to drive yourself or take a cab (contact Katie or Jack for the address). You’re invited to join us for an all-conference party at Kardinal Hall, beginning at 7pm on Monday, July 31. Conference attendees receive dinner and one free drink! We have the entire place to ourselves and invite you to stay and socialize until 11 pm (individual tabs may be opened after drink tickets are exhausted). Daily continental breakfasts (with coffee and tea) will be provided at Old Metropolitan Hall on Sunday, Monday, and Tuesday mornings. 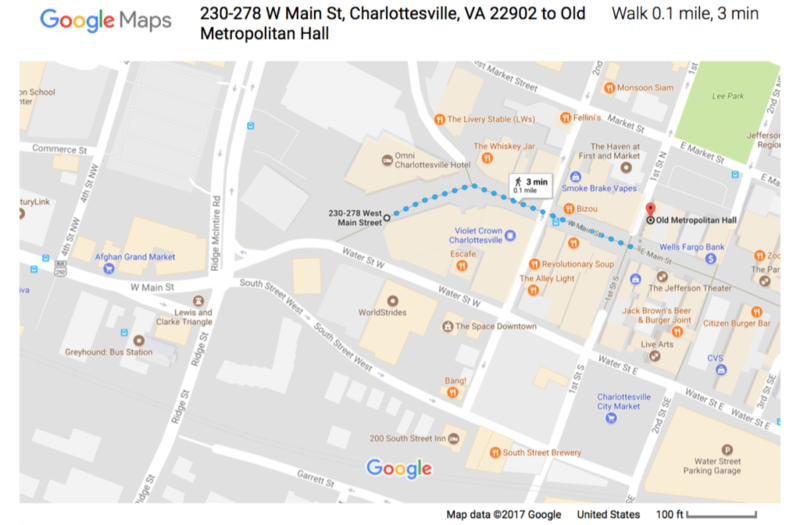 Old Met is located on the pedestrian mall just 1.5 blocks from the Omni. Breakfast will begin at 7:30 am and continue until 9 am. Limited leftovers will move to the COS small kitchen at 9 am, plus we will have snacks throughout the day in the COS small kitchen. **We have attempted to plan menus that have plentiful vegetarian and vegan options. All food events will be buffet style.